First things first, put your shorts/pants on the wearer and make sure that they will end up being the proper length. I pre-folded the cuff and pinned it in place so I would see exactly where it would fall. 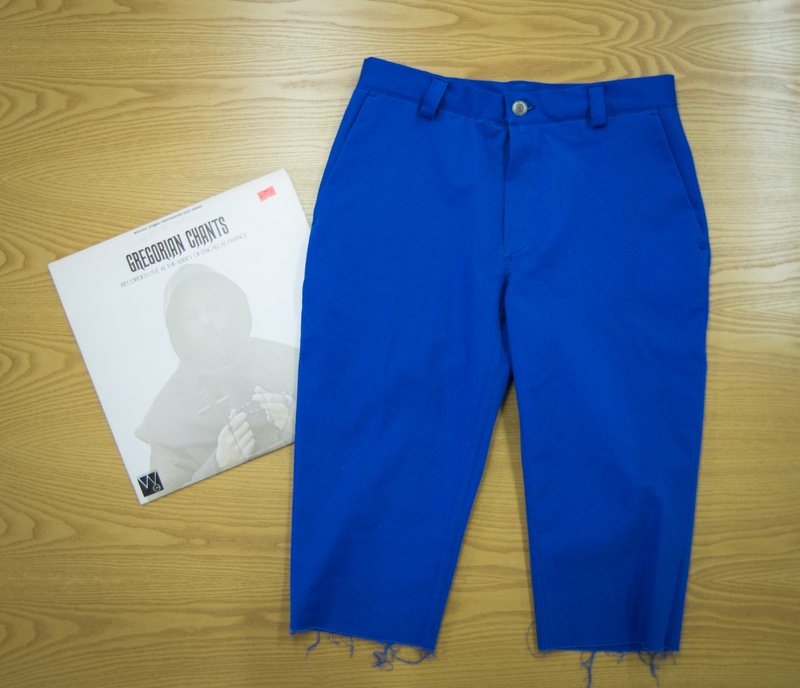 We decided that Matt liked the ‘hipster’ length that I cut his previous pair of Jedediah Shorts to sew we took two inches off of this pair as well. 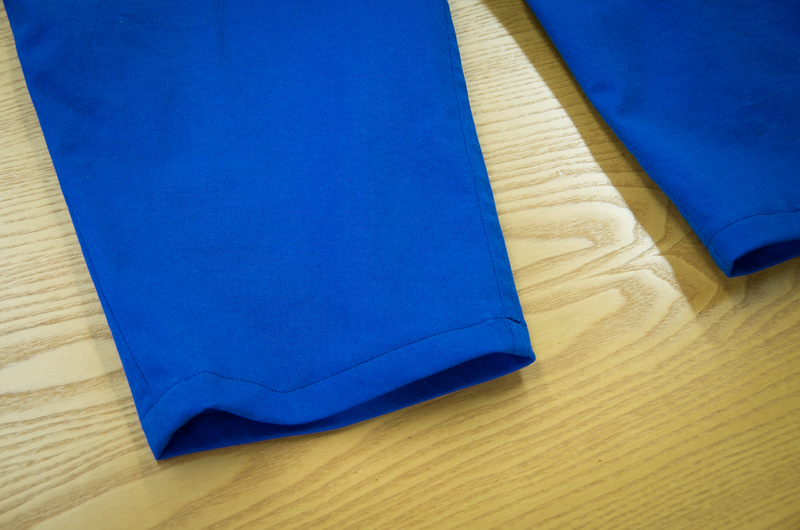 If you are going to hem the shorts using a 3/4″ hem instead of the cuff, you will need to take even more length than this off so that your shorts don’t end up looking like capris! 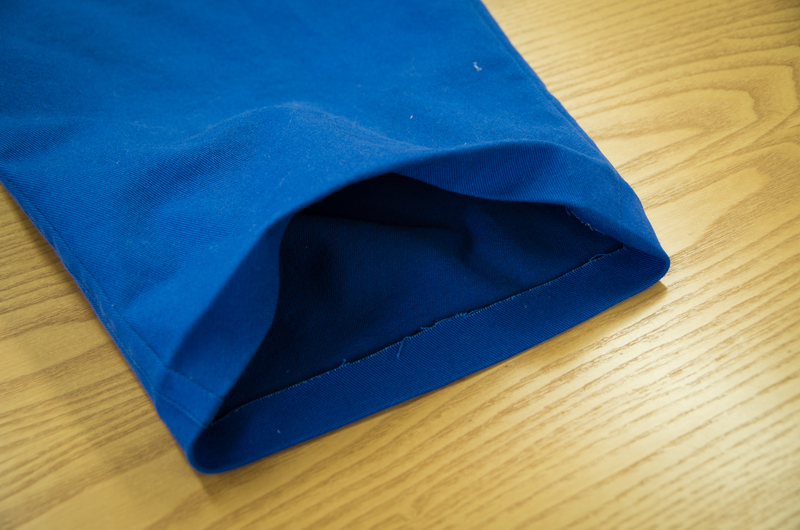 Now, we are ready to finish the hem by stitching 1/8″ away from the top edge, all the way around the pant leg. 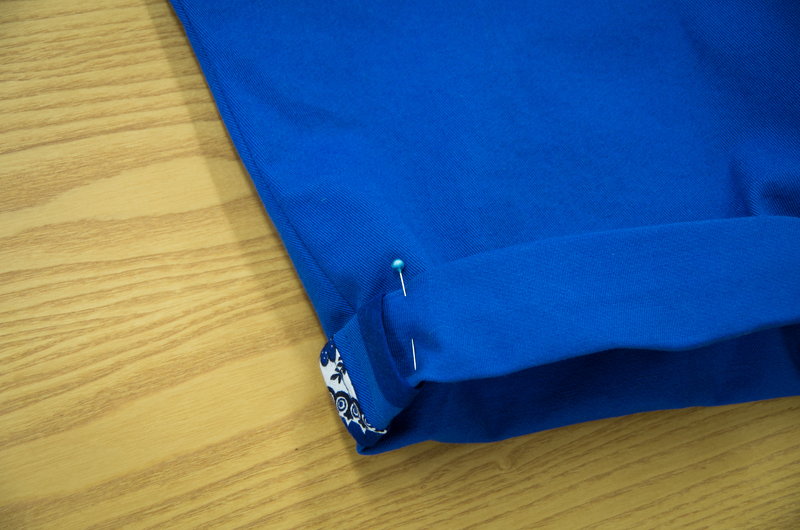 I like to start at the inseam so that the back stitching isn’t very visible when the shorts/pants are being worn. 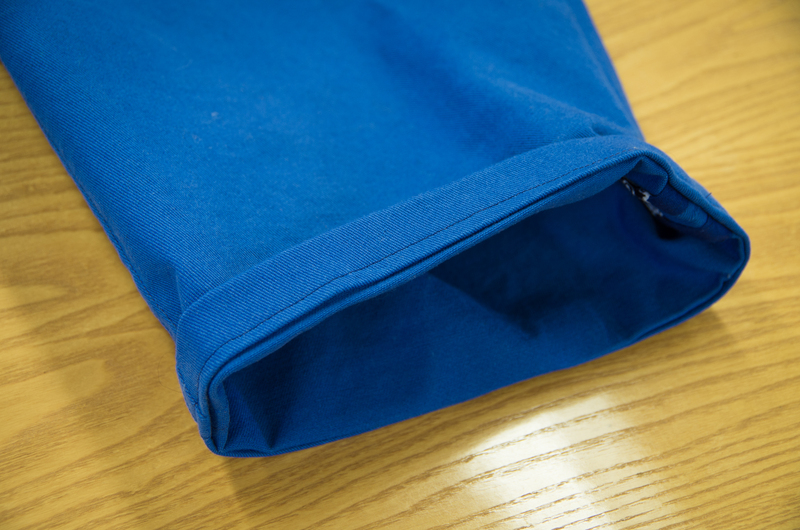 Then fold up the cuff again, this time 1 1/2″ and press again. 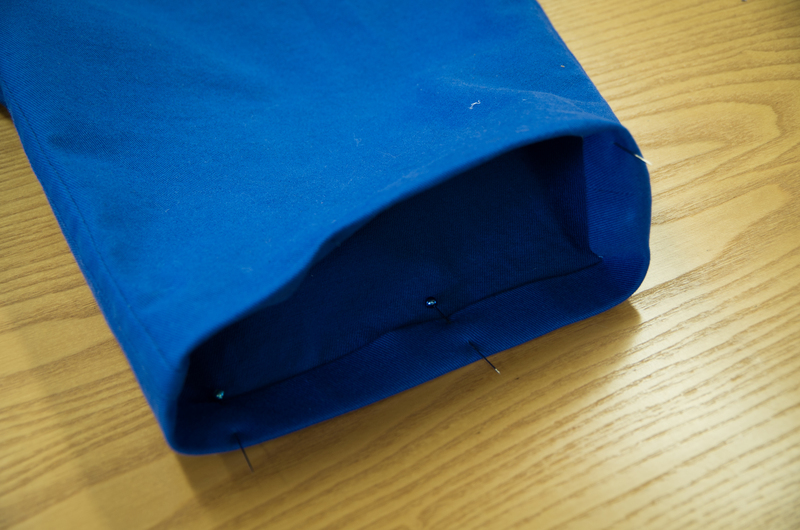 Put a few pins in the roll to keep the side seams lining up. And now, stitch in the ditch along each side seam to keep the cuff in place! It’s as simple as that! If you are using a floppy material (such as linen), you could hand tack a few spots along the top of the cuff so that it doesn’t flop downwards in the middle, but if you are using a stiff denim or twill you won’t have to worry about that. 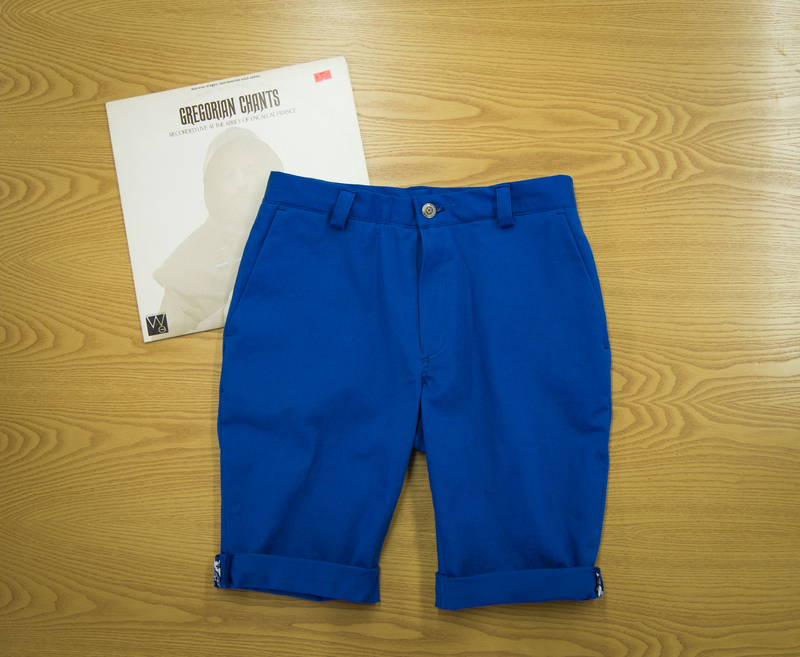 Here is a photo gallery of my version of the Jedediah Shorts(below). 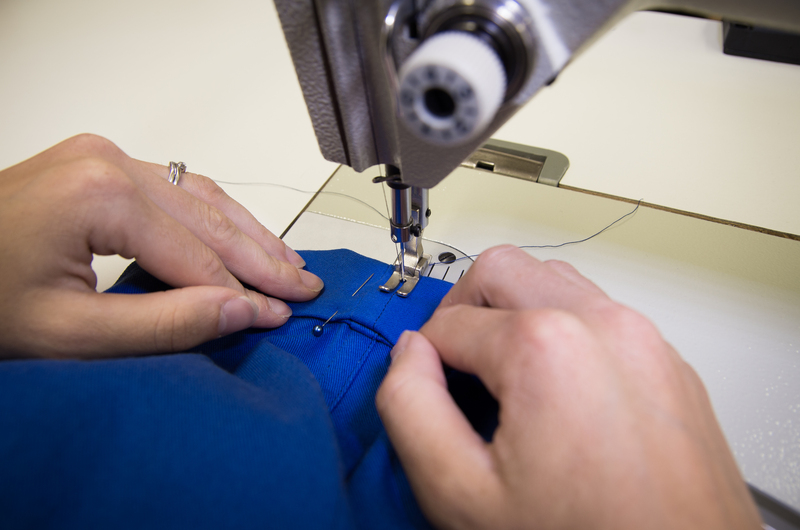 We’re so excited to see what you’ve sewn up! Kollabora is so kindly hosting a Jedediah Shorts/Pants Sew-Along Photo contest (as you probably saw in the earlier blog post about it!) – so be sure to head on over there and submit your photos for a chance to win an awesome Kollabora gift package as well as a free Strathcona Henley pattern! All you have to do is submit your project and the person with the most ‘hearts’ by September 17th will be declared the winner by the Kollabora team! You can also send along your photos to our email (info@threadtheory.ca) or post them on your blog and other sewing network sites and leave a comment on this post telling us where they are and we will add them to our “Jedediah Pants Photo Gallery” as well as our Sew-Along parade post next Thursday. 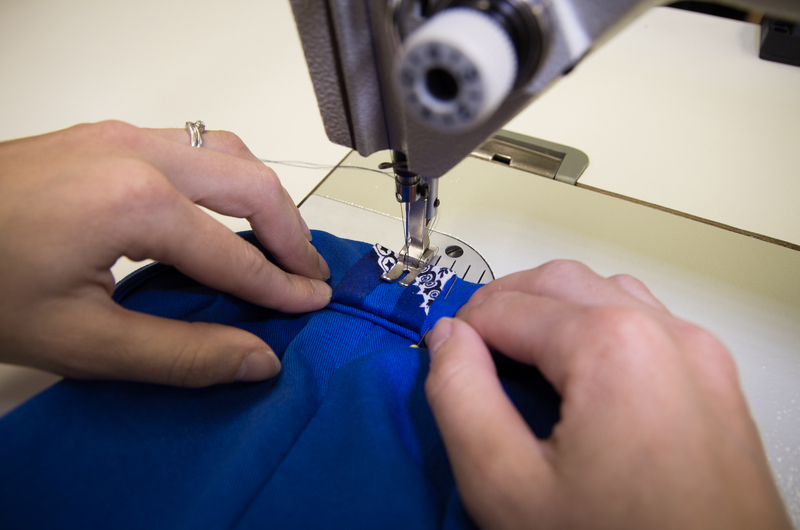 Thank you so much for joining us on our first sew-along! We had a lot of fun and hope that you did too! 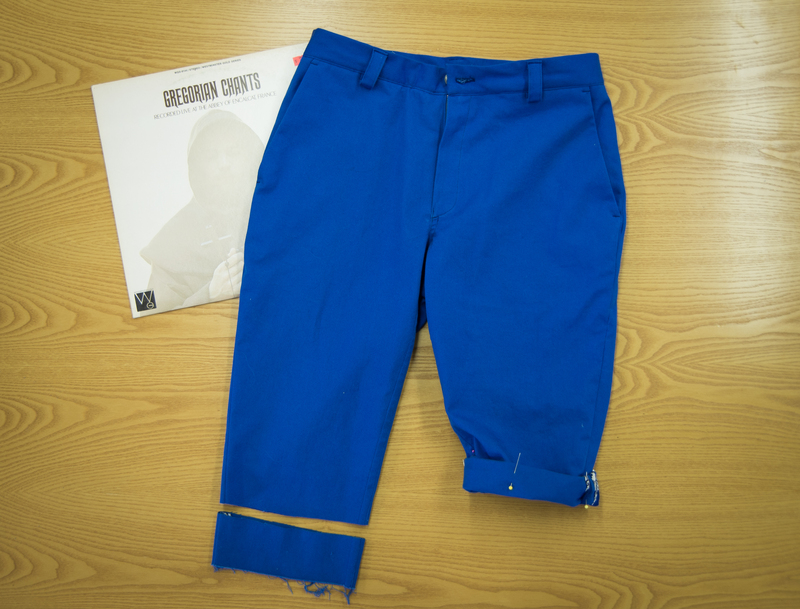 Please feel free to refer back to our sew-along page whenever you sew up the Jedediah Shorts or Pants in the future, and if you ever have questions, you can still leave comments on any of the sew-along posts and we will help you out the best that we can! 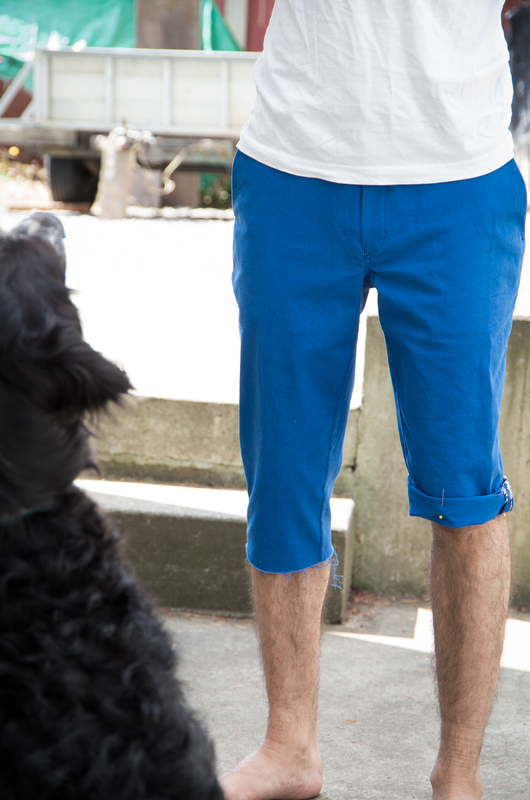 The bright blue result of our Jedediah Shorts Sew-along! Categories: jedediah shorts, Jedediah Shorts Sew-along | Tags: finale, hemming, kollabora, sew along | Permalink. Thanks for doing this sewalong! 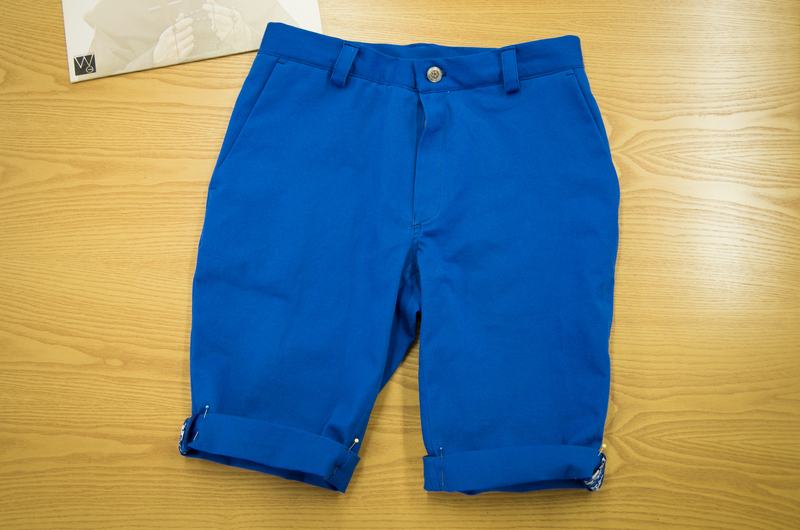 I have never made mens clothes before but these shorts came together so easily, the boy loves them and has already requested a long pair Next up is definitely the Henley! Awesome! I’m glad yours turned out so well! I would love to see photos when you get a chance 🙂 Thanks for joining in on the sew-along and good luck with the henley!